How to Measure Snowfall: A Complete Beginners Guide For You! >> How to Measure Snowfall: A Complete Beginners Guide For You! Measuring snowfall isn’t everyone’s cup of tea. I won’t sugarcoat; measuring snowfall in an accurate, consistent manner is quite difficult and will take a lot of efforts and your complete dedication. But it’s worth all the trouble as the snow has a profound impact on the national economy. Therefore, without wasting any time let’s get to how you can measure the snowfalls accurately. First, place the snow measurement board (SMB) in an open place in your vicinity. Try to find an area which is far away from buildings or large trees and where drifting and wind effects are at a minimum. Mark the position of SMB with a reflector so that you can easily find it after the snowfall. You need to make the measurement as soon as possible after the snow ends so that you can capture the exact amount of snow accumulation. As regards to the snow measurement unit, the snowfall should be measured to the nearest 0.1 inches. Remember that wind-blown snow can get deposited on the snowboard, but it can’t be included in the report as it’s not actual snow. Snow deposited on the SMB should be removed at the end of twenty-four hour period so that the measurement can be taken in the next session. You need to measure the highest amount of snow that has deposited on your SMB since the last snowfall observation. Your measurement should show the highest amount of snow accumulated within the last twenty-four hours, even if it takes place before the scheduled time. For example, snow starts to fall at 11 p.m.and accumulates to 5.3 inches by 4 a.m. And then it stops falling. Later the snow begins to melt and during your observation next evening, you find only 3.5 inches on your SMB. In this case, the number that you should report for your 24-hour snowfall is 5.3 inches—measured before the snow started melting. What if You Don’t Manage to Remain Available throughout the 24-hour Observation Period? If you can’t manage to watch snow accumulation all day, then make your best estimation or get info from someone who had been close to your home during the snowfall. You should, however,mention in the report that the reading is not based on actual data and you have made an estimation about the snowfall. What if Snowfalls Occur Multiple Times a Day? 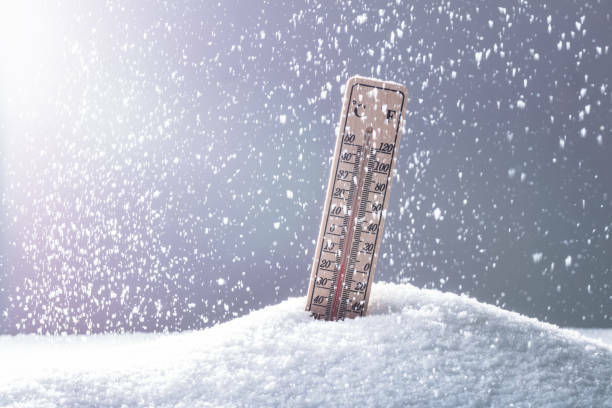 Irrespective of how many times snowfalls occur during a day, you need to report only the largest amount of snow deposited on the snow measuring board. If the snow deposit never manages to reach 0.1 inches on SMB, then you should include the snowfall in your record as Trace and remark that the snow dissolved upon landing. If the National Weather Service office asks you to take 6-hourly measurements, then you can follow the following method to measure the snowfall. In this case, you need to make sure that the SMB is not cleared before six hours. For if you take measurements more than four times a day, then it could falsely increase the total amount of snowfall. Sum the six-hour observations to get the snowfall measurement of the entire day and then write down the total amount in the report. Keep in mind that you need to include the number of your observation in the report. What if You Don’t have a Snow Measurement Board? You can get snow measurement board from a commercial supplier or build one for yourself. However, you can conduct snowfall observations on grassy or elevated surfaces as a last resort. Check that your snow measuring device is in fine condition before the season starts. The numbers on your snow measuring stick should be easy to read. You have to ensure that the area remains clear of snow removal process as snow deposits. Select an area free of obstructions and structures. 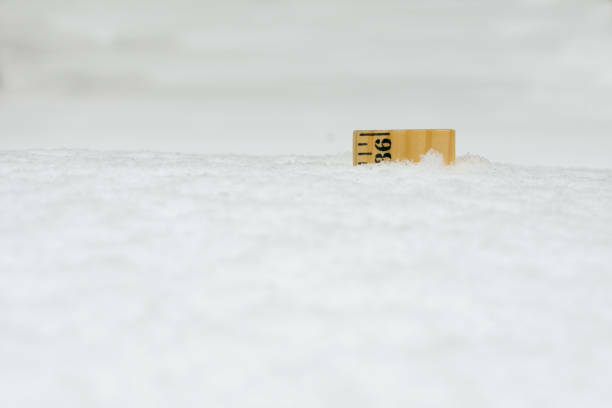 The snow measuring stick should touch the bottom of the ground when used for measuring snowfall. Wrapping up, there’s no denying that measuring snowfall is a difficult task. However, it also has immense value as information provided by you can be of great help to the country’s economy. Now that you know how to measure snowfall, you have no excuse to skip the civic duty of measuring snowfall during the winter.